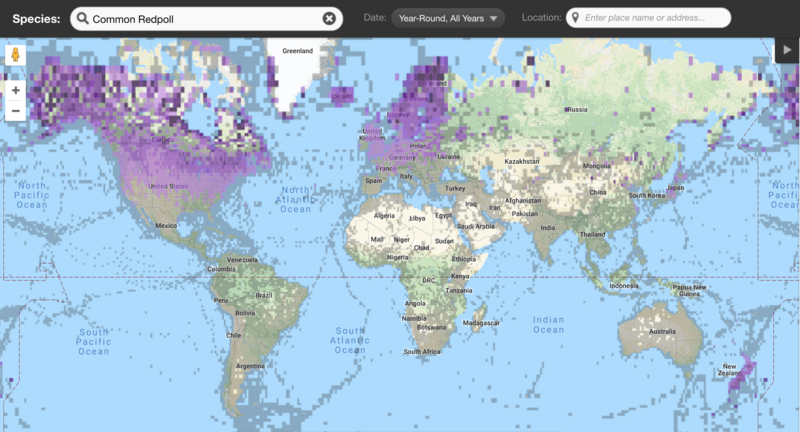 According to eBird data, Common Redpolls are not seen in the Edmonton area between June and September, except for the sighting of a single bird on July 5th, 2014. Their breeding grounds are north of Alberta, in Alaska, the Yukon, the Northwest Territories and Nunavut. The Atlas of Breeding Birds of Alberta (Semenchuk 1992) does mention occasional nesting in Edmonton. This species also breeds in northern Europe and Asia, wintering in more southerly areas of these continents. Also, New Zealand is a year-long home to Common Redpolls. 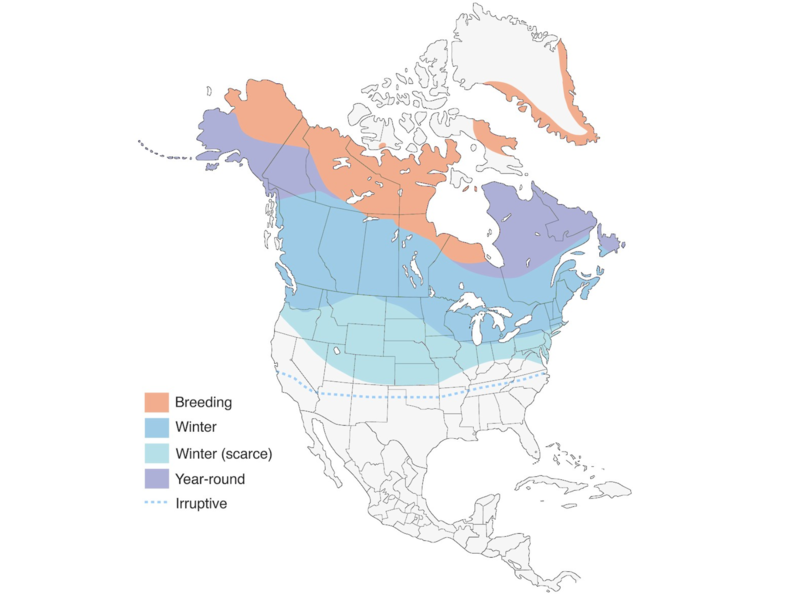 During North American winters, many Common Redpolls visit the northern US and very few venture further south, with no sightings south of the US-Mexico border. The bird has visited a couple of islands in the North Atlantic – Bermuda and Corvo (in the Azores). Distribution of the Common Redpoll in North America. From Birds of North America Online . 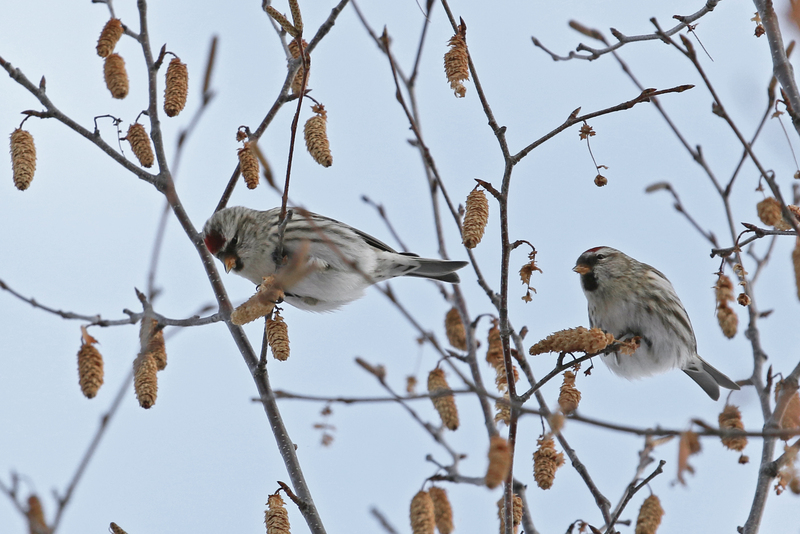 Other Edmonton birders saw Common Redpolls this October, but my first sighting was a flock of about 15 in Mill Creek Ravine North yesterday (November 10th). 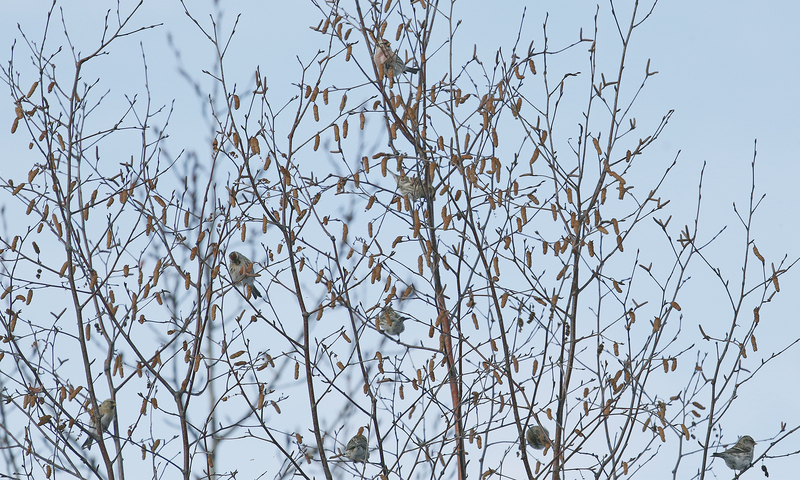 The little cloud of birds was flying from birch tree to birch tree and feasting on ripe catkins. 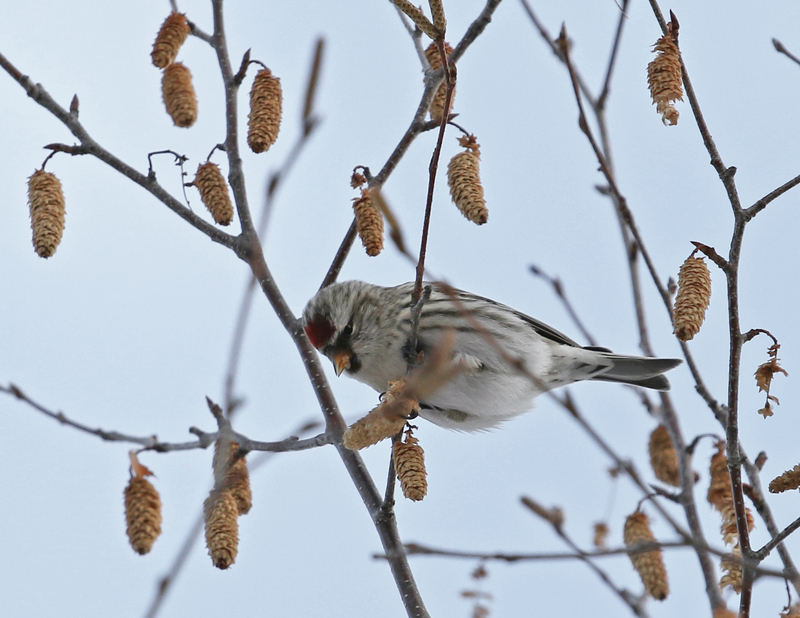 Canadian Wildlife Federation: Common Redpoll.